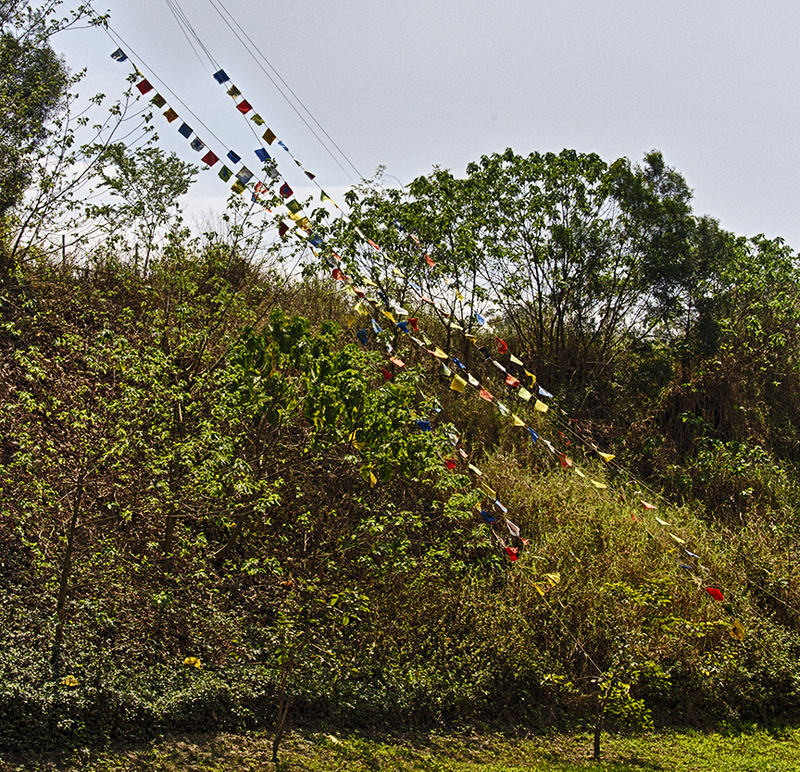 These photos show the finished installation “Healing the Earth – Nan Hua Prayer Flags” created during my two-week artist in residency at Nan Hua University, Chiayi County, Taiwan, March 15 – 28, 2014. 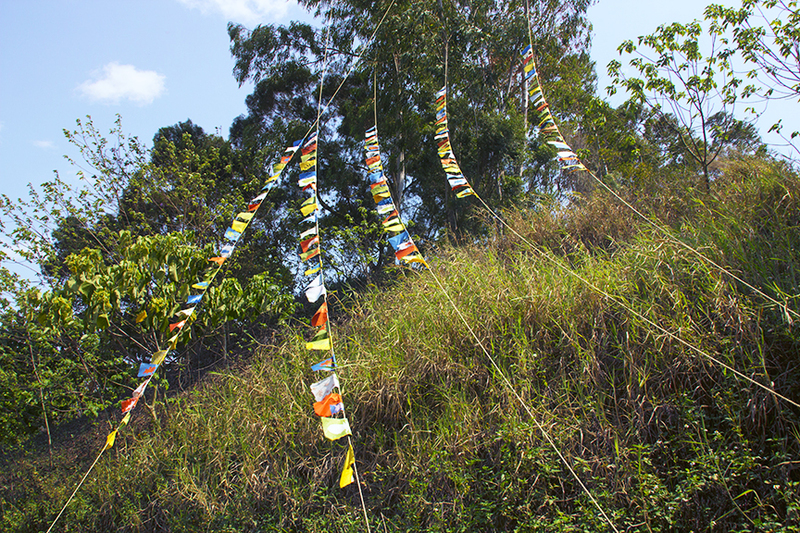 The installation contains 250 handmade paper prayer flags, each a unique creation by the students and me during the residency project. The materials are all natural and biodegradable, and the installation will return to nature with no harm to the earth….in several weeks or months depending on the weather. I was pleased to learn that the flags are still looking good after a heavy rain and thunder storm over this past weekend. 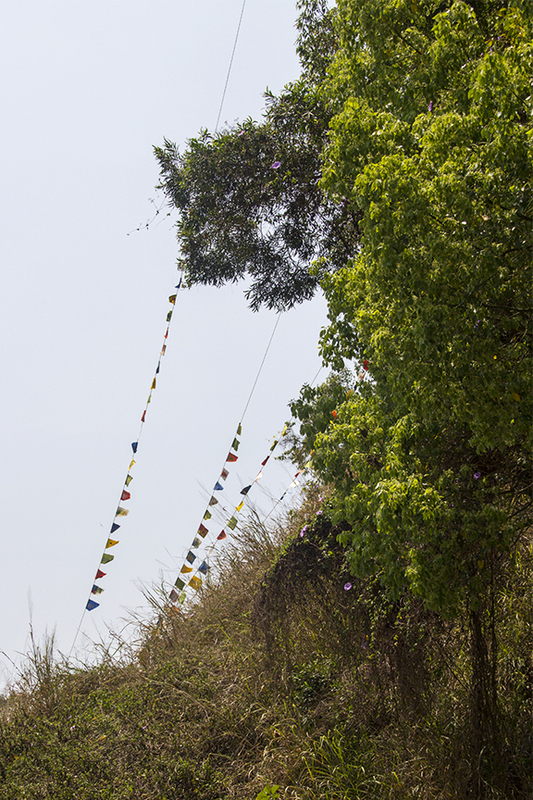 Handmade paper is amazingly strong and resilient, and these are still flying high with the good wishes of the participants at Nan Hua University. I will go back to Nan Hua University to give a lecture for their BioDiversity Day Celebration on May 24, so I will post again some updated photos of the installation in late May.